Today's post is by guest blogger, Bill Graham, a Marine Biologist who has worked in the US and Mexico for 30 years, He is a teacher, a researcher, a writer, and a nature photographer. Through his work, he has acquired an ever growing passion for nature and an appreciation of how everything is connected. He travels extensively writing about and photographing patterns in Nature and leads a program for talented youth in Guaymas, Sonora, Mexico. 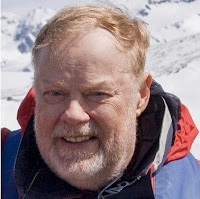 Bill is the author of the Patterns in Nature blog and can be found on Google+ here. 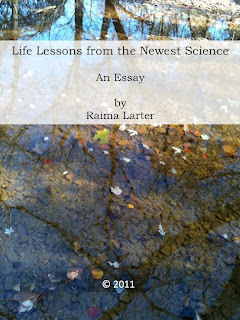 I am honored that Raima Larter has asked me to be a guest blogger on Complexity Simplified. She has asked me to write about my interests in patterns in Nature and how these interests are related to complex systems science. I have happily accepted her assignment because it is my desire to become part of an open dialog on this subject. 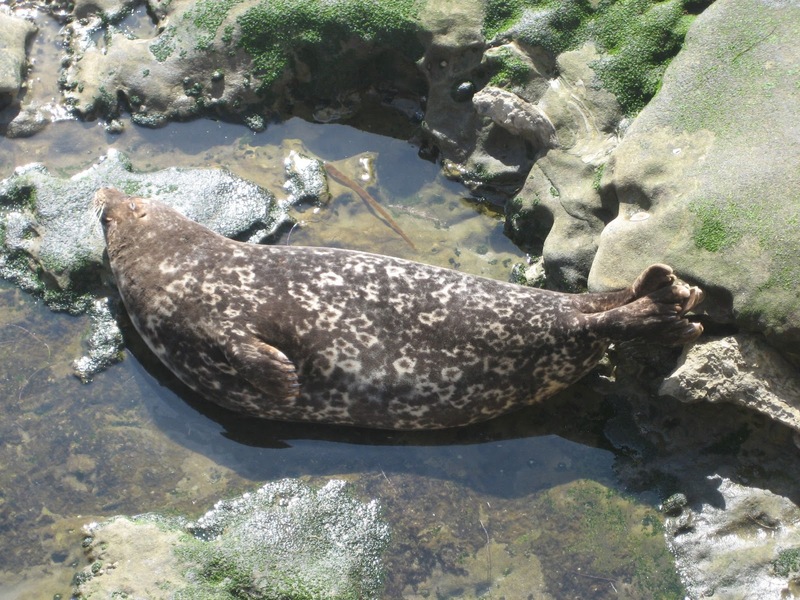 I write from the perspective of a Marine Biologist. I live in a holistic world of food chains and ecosystems. As a field biologist who works with "critters", I tend to use a "top-down" approach as I try to discern visual, behavioral, and energetic patterns in Nature. I've embraced the spiritual/philosophical principles of the Neo-Confucian "Li" where Nature is described by its organizing principles. I am guided by two key ideas. First, the presumption that there is order. And secondly, that the key organizing principle in Nature is that everything is connected. In my work, my quest is to discern Nature's connections. From my perspective, patterns in Nature are complex dynamic systems. Ergo, the study of complex system science is the study of patterns in Nature. Nothing exists solely on its own. Patterns in Nature are not simply pretty flowers, rocks, seashells, or human beings. They are highly interconnected complex dynamic systems that are best described by their hierarchal connections with other patterns in Nature. Patterns in nature are manifestations of the organizing principles that define our universe. As I see it, the goal of complexity science is to define patterns in the networks of connectivity that are contained within complex systems – searching for organizing principles that generate the order that is manifested in Nature's patterns. The idea of connectivity in Nature has taken on a new importance in Western science in no small part due to the work by complex systems scientists at the Santa Fe Institute and elsewhere. To wit, Geoffrey West and his colleagues have noted the prevalence of quarter power scaling in many patterns in Nature. Of particular interest is that West goes on to attribute this apparent unity in Nature to the underlying connectivity networks of these patterns. West theorizes that these scale-free networks are energy transport systems and, in supplying energy, define the scaling characteristics of a given pattern in Nature. 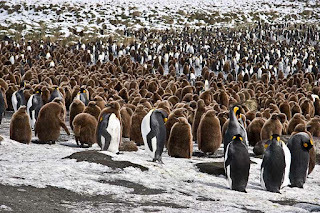 An interesting example of interdependence within a set of complex systems is the King Penguin who lives in the waters and islands north of Antarctica. There are huge breeding colonies on South Georgia Island 800 miles east of the Southern tip of Argentina. The bird has an unusually long breeding cycle, taking some 14–16 months from the laying of an egg to offspring fledging. This long cycle dictates that the breeding colonies are occupied year-around and that chick behavior must include a defense against the cold winter. The female penguin lays one egg. A newly hatched chick has only a thin covering of down and is entirely dependent on the parents for food and warmth -- spending the next 30-40 days balanced on its parents’ feet and sheltered by its pouch. During this time, the parents alternate every 3–7 days, one incubating while the other forages. 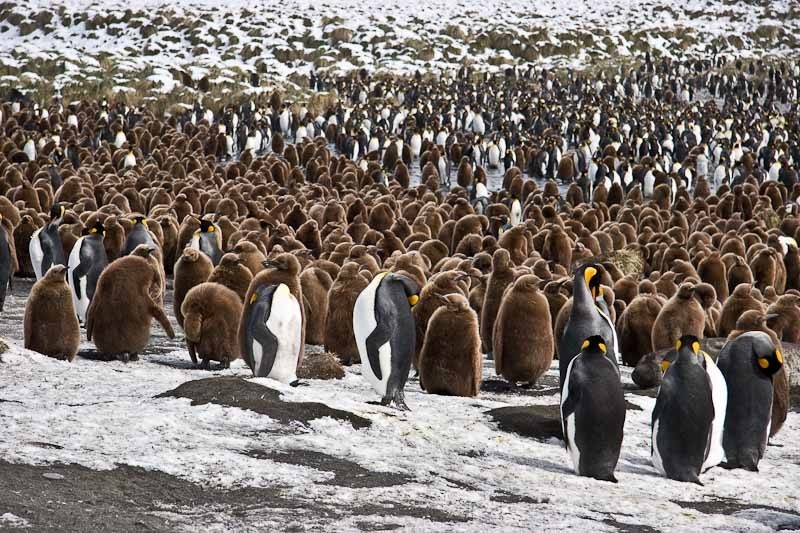 After 40 days, to stay warm, many chicks form a tight group called a crèche. 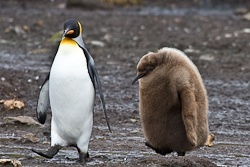 A few adult penguins stay behind to look after the chicks while the parents forage. The interconnecting patterns in this complex system are many. The food chain in the ocean, the weather, the recognition of the chick by the parent, the crèche of juveniles, the overseeing of the crèche by adults other than parents, etc. It is my hope that this post will generate some form of dialog about connectivity within complex systems in Nature. I invite your comments. Another interesting math video, this time with a fractal connection at the end. Watch and enjoy! This started out as a Nearly Wordless Wednesday post since I don't (yet) have much to say about the above image other than "Wow!!!" 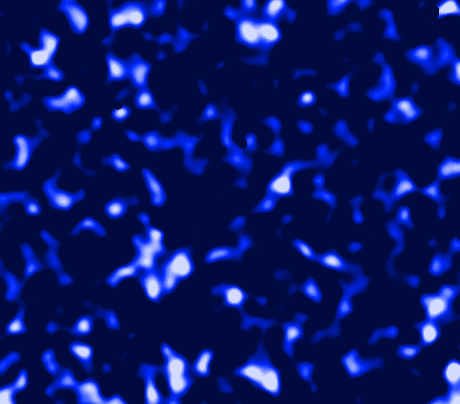 Constructed with data gathered by the Canada-France-Hawaii Telescope, CFHT, the image provides the first direct glimpse of dark matter over long length scales. Dark matter is a mysterious substance that, along with dark energy, makes up 96% of everything in our universe. The other 4% is the ordinary matter and light that scientists spend so much time trying to understand. 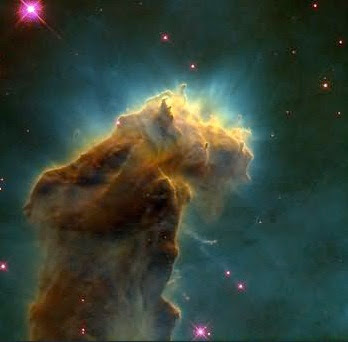 The image was created by accumulating data for five years using a wide field imaging camera. The data was then analyzed by looking at the distortion of light emitted by galaxies as it was bent by clumps of dark matter. The results, along with other incredible images, were announced earlier this week at the American Astronomical Society meeting in Austin, Texas. The analysis of the CFHT data revealed that dark matter is not distributed uniformly throughout the cosmos but, rather, in clumps connected by a network structure. The white spots in the above image are the places where the dark matter is most dense, while the darker spots are essentially empty space. Further analysis by the CFHT scientists showed that the dense regions of dark matter correspond to locations where galaxies are clustered together. This makes sense, because dark matter interacts with the ordinary matter in stars and nebulas through the force of gravity. Still, it is remarkable to see clear visual evidence of this interaction and to realize what a huge impact dark matter has on the shape of our universe. So, what does this have to do with complex systems? To be honest, I do not have an answer for that. We know so little about dark matter and dark energy. These two mysterious quantities make up the vast majority of the universe and it is becoming more clear with each new announcement that the largest amounts of dark matter are in the regions where planets and stars and galaxies are located. Since both dark matter and dark energy interact with ordinary matter and light in ways we do not fully understand, there very well may be some relationship between the ability of complex systems to adapt and self-organize and the behavior of dark matter. Or there may not be! This is one of the reasons I find these new discoveries to be so awesome and exciting. Anything is possible. For more of Wordless Wednesday, visit the main site.